The reason I prefer Google as a search engine is because it offers us the content that really interests us for the queries we make (that is, it gives us relevant results for the search terms we use), but I also recommend that you use the following tips about How to search on Google. Well, I will try to help you with this series of tricks (also called advanced search commands or search operators). This case is very simple and probably you may know it before, but just in case I will tell you. If you want to find the web where exact words appear (without variations of plurals or gender) and in that order, what you have to do is put the search terms in quotes. Although I have mentioned ” exact phrase ” to put them in the search engine with quoted, in fact, in Adwords it is called as ” phrase agreement “. 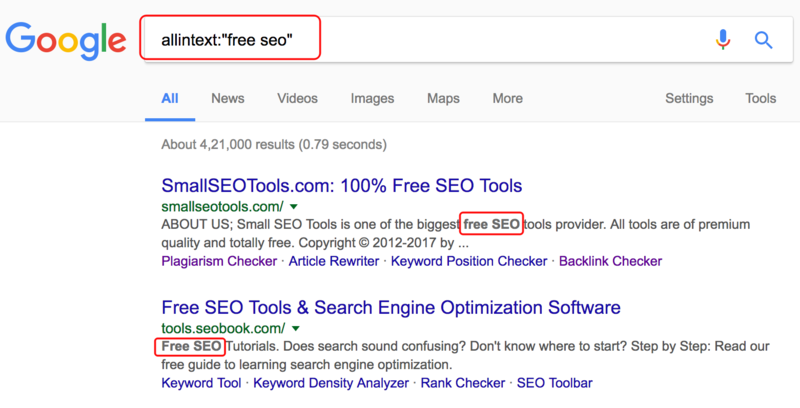 In the Google Adwords interface, an ” exact match ” is placed in brackets, but I do not use it to do advanced searches on Google, while the quotes are very useful. 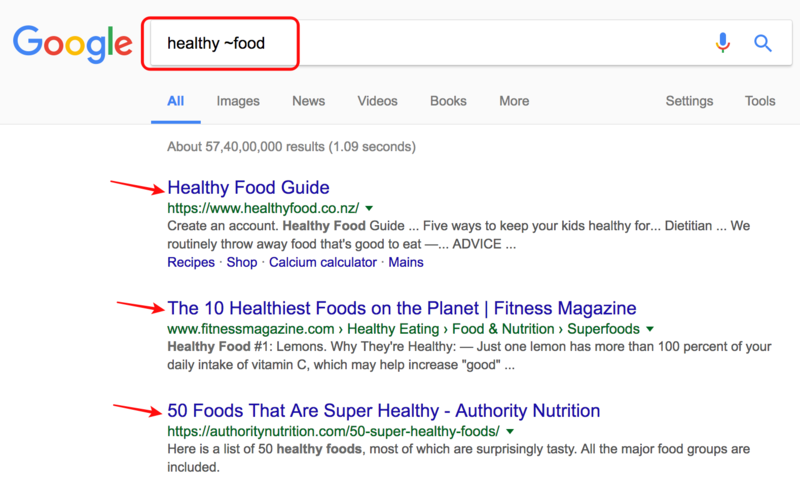 When you use the advanced quotation marks command it means that you are telling Google to show you the pages that contain this text exactly the same, allowing words before and after. As per SEO, it is very useful to know if there is any content is published on the internet with that particular keyword. This Google search command can be used in your SEO strategy. If you want to perform a search in google through a phrase or a combination of words, but you want to avoid that particular word. To eliminate search words that do not serve you or that you simply want to exclude, all you have to do is write a sign (-) before each one. Let’s see an example for you to understand this scenario. 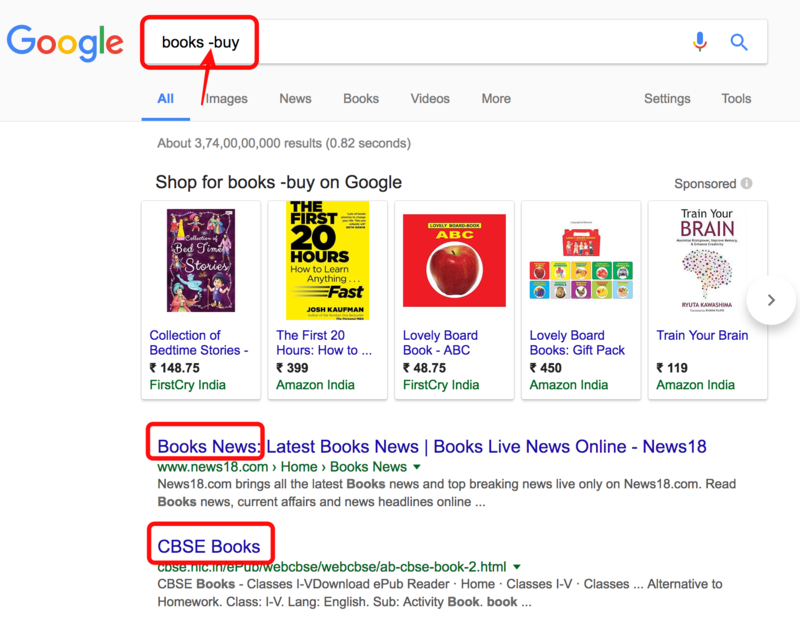 For example, if you want to search for books but you are not thinking about buying any, you can enter in the search engine as books -buy. The Google search engine exclude buy term and provide the results for books term. If you do the test with and without the minus sign you will see that the results offered by Google are different. 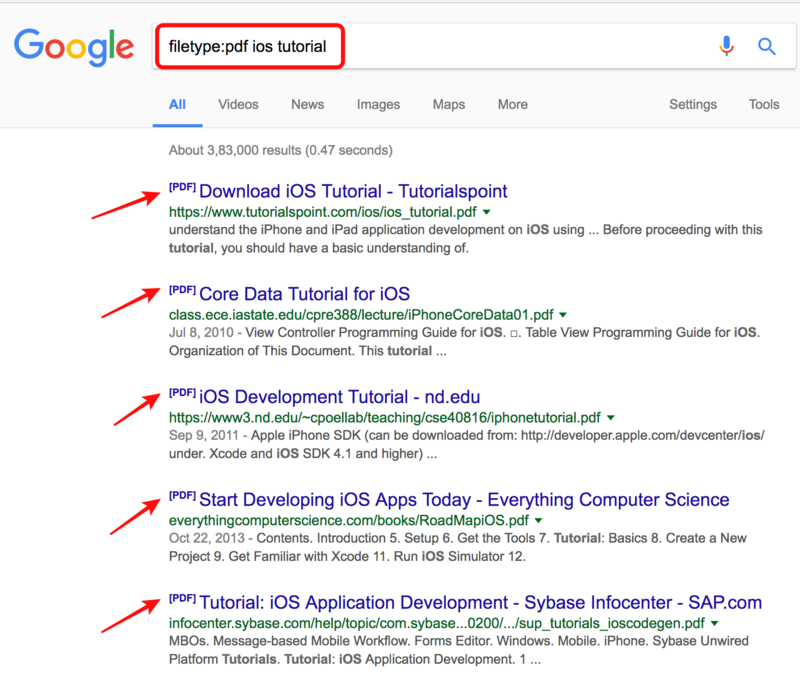 When you put the less, you will not see the word books in the title, nor the snippet, nor in the URL of organic results. I make this point, because in the results of payment yes they can appear. This means that this search command does not act on the results of Google Adwords. Let me explain this with an example so that you can understand clearly. 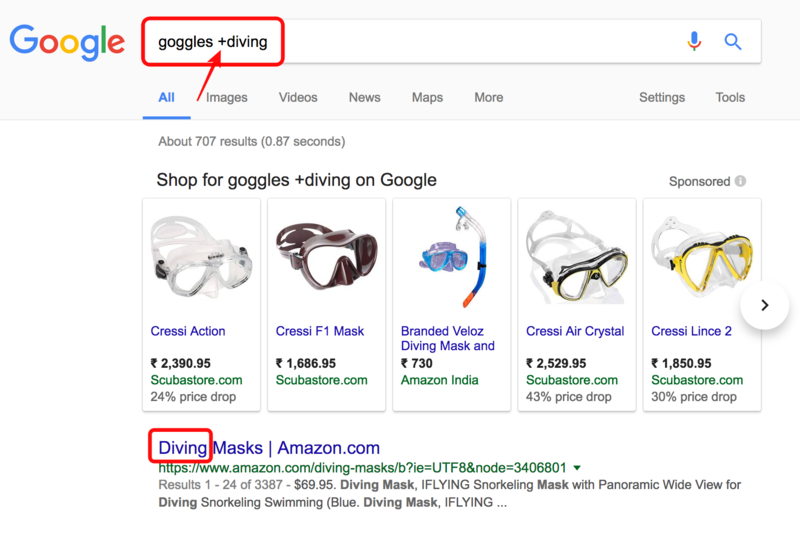 You want Google to offer you information about diving goggles, but when you search for it, it offers you the sunglasses, close up, etc, but you want the links for diving goggles. In such case, we use ‘+’ symbol in our search. For example, “goggles +diving”. Google will show the results including the word ‘diving’. See the below image for the clear vision. 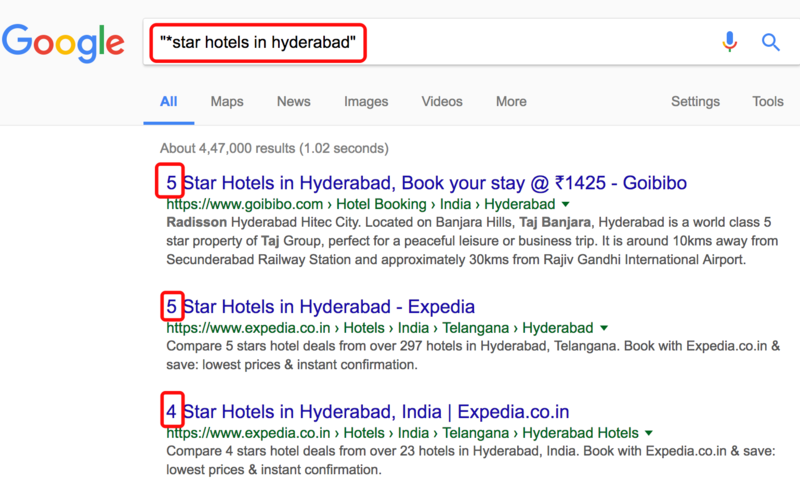 An example for this type of consultation could be a search for hotels in Hyderabad in which we do not care that offers us hotels of 3, 4 or 5 stars. What we will have to put is “star hotels in Hyderabad”. You can also search in this way. With these two examples, we can understand that wherever we insert ‘*star’, the results are different, but the concept is same for both the searches. 5. Do you want to know the incoming links connected to any Website? The search command for Google to show you the websites that have links that are pointed to the website is as follows. I do not use it much because it is not entirely effective. For this, I recommend tools like ahrefs or openlinkprofiler. What makes this advanced search command less effective is that we have 2 problems. One is that we will only offer the sites from which links come out if they have a Page Rank greater than or equal to 4. The other problem is that Google has not updated this indicator (Page Rank) for a long time. 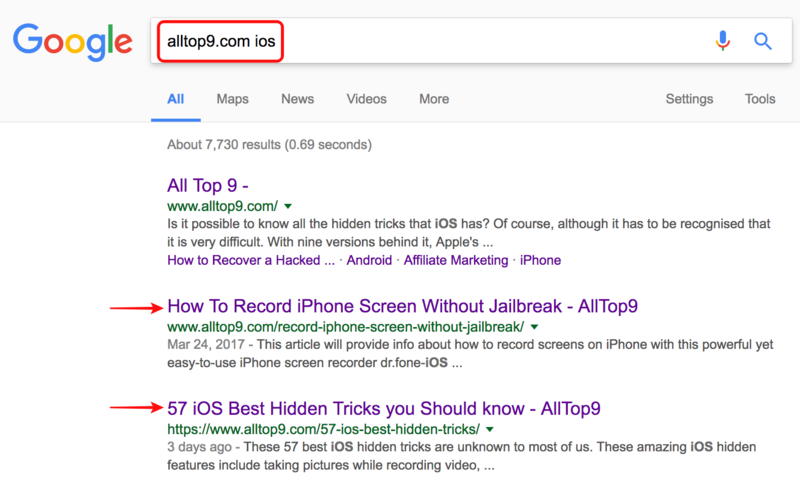 If you want to know all URLs ( pages, entries, categories, images, etc) that Google has indexed a website, you simply have to put the following query site: www.alltop9.com. This advanced search command is not widely used by users. However, they are very important for webmasters when analysing the indexing of the website. 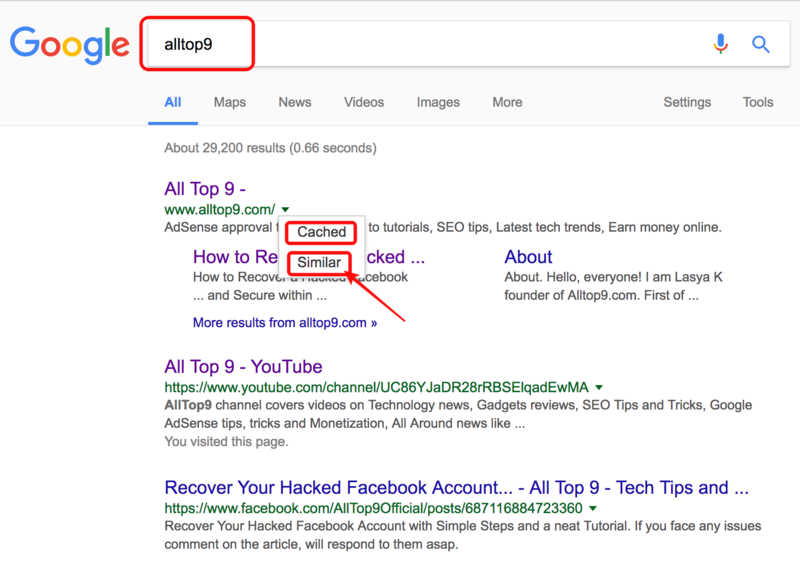 It can help you make decisions about what to de-duplicate to avoid duplicate text (tags for example) or we can detect if Google has indexed rare URLs finished in online casinos, illegal sites which can warn us of a virus infection. 7. Do you want to know what web pages have a certain keyword in the title? In order to know the web pages that contains a certain keyword from the Google search, here is the command you have to use. 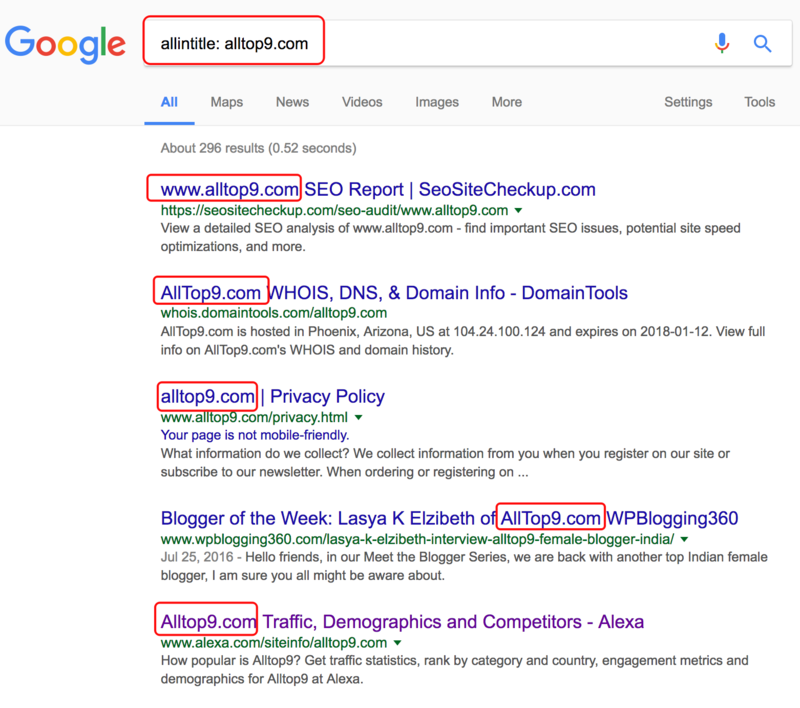 In the below image, you can see I have searched for ‘alltop9.com’ and Google showed all the results which contain ‘alltop9.com’ in the title. In the same way, if you want results for any particular keyword, you can enter that keyword in the place of ‘alltop9.com’ and click search. You will get results for that keyword presence in all the titles. 8. Do you want to know which web pages contain a certain text? If you want to know in which pages a certain text appears in the body. The advanced search command to do is allintext. If for example, we want to know what pages contain in the text of your body the phrase “free SEO”. Then you have to search with this command. As you can see, the difference with the previous command is that now the match of the result shows us in the snippet, instead of in the title. 9. Which pages receives links to a given anchor text? The command is allinanchor and we are going to see an example in which we want to know which webs receive links with anchor text that say “the time”. And the command given in the Google search is as follows. 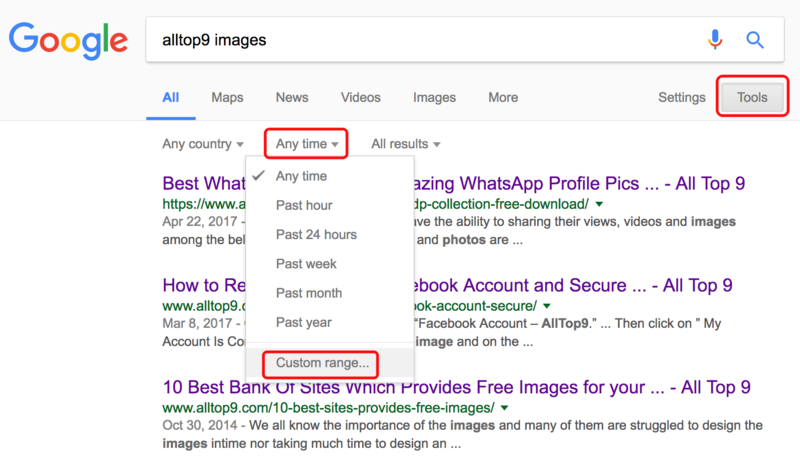 This command, a few years ago gave us a very representative ranking of SERPs for a particular search term, but years ago, with the latest changes in Google algorithms, is no longer so representative. Especially since Google gives so much importance to the behaviour of the user on the website and since social networks have so much influence on SEO. 10. Do you want to know information of any Website? 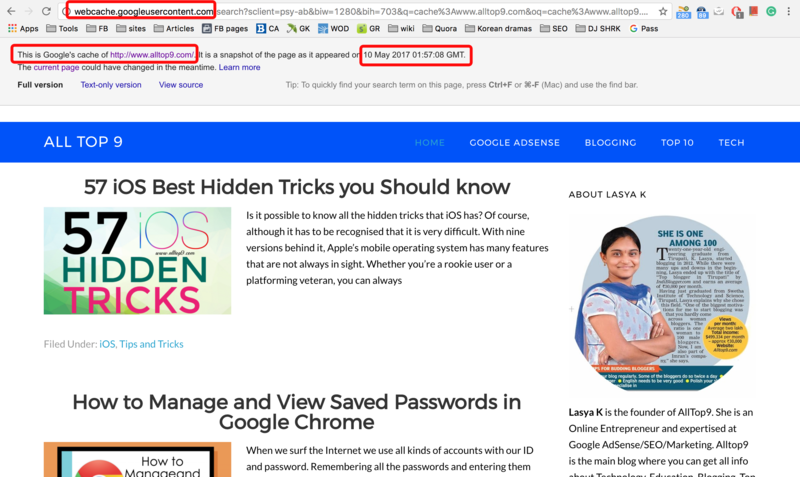 As you have seen in the image, it gives you the result of the title, link and the snippet of the page that you typed. In addition, it offers 4 more options that we will see below. 11. Do you want to know cache that Google has for your website or any website? There are different ways to get information from Google’s cache of our website. This is the search operator you have to use. As you will see in the following image, a message appears at the top indicating that this is the cache version of your site at a certain date. It is useful when a website is not updated frequently and you want to know what it is that Google has indexed it. Is to click on the first of the 4 sections that Google offers you when using the info command. There is another way to get the cache. Just type the website name in the Google you want to get cache for. See the following image for the clear vision. There you can see the triangle shaped button showing downward just click on it, and it will show the option cached. When you click on it, you will get the cached page of that particular website. 12. Do you want to know which pages Google considers to be similar to a particular website? Finding the websites that Google considers to have a content and a theme related or similar to that of a certain web is very practical and useful, both when we search queries as a user, as when we do SEO work and more specifically Link Building. One way is to use the related:domain.com command as it appears in the image above. In the place of domain.com, we would write the web of which we want to find others similar to that. 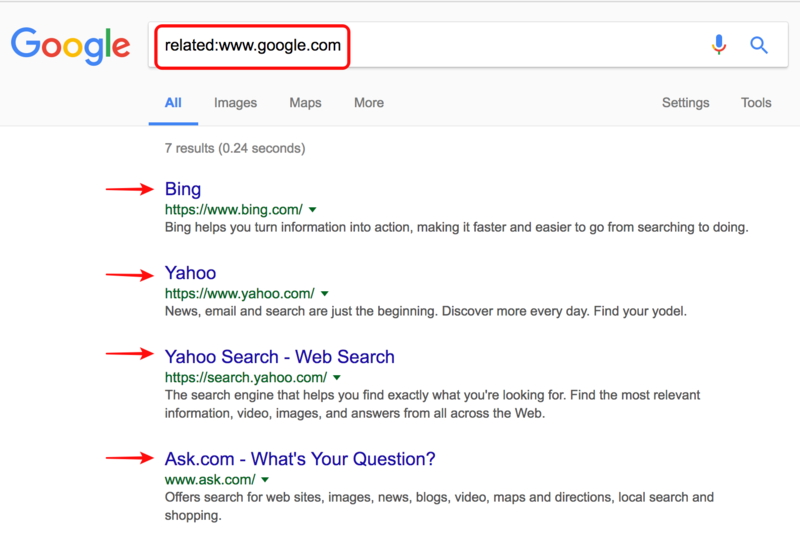 The other way is to put the search operator info:domain.com and then, between the options below we will click on the link that puts similar. As it appears in the photo below. The filetype search operator is very useful if you need to search Google for information on a particular type of file. Sure you have ever wanted to find a pdf manual of whatever, or maybe you are looking for a presentation of some theme and you want to find a file in ppt, etc. To do this, what we are going to do is to use the filetype search operator, which means ” file type “. We put this command followed by a colon and (without leaving any space) the type of file that we want. Then we put the search we want and Google will find us files of this format relevant to those search terms. If you want to find in Google indistinctly contents related to different searches you can use the symbol “|”. What is the command for this case? For this search, you can also use the search operator ” or “: a search OR another search. 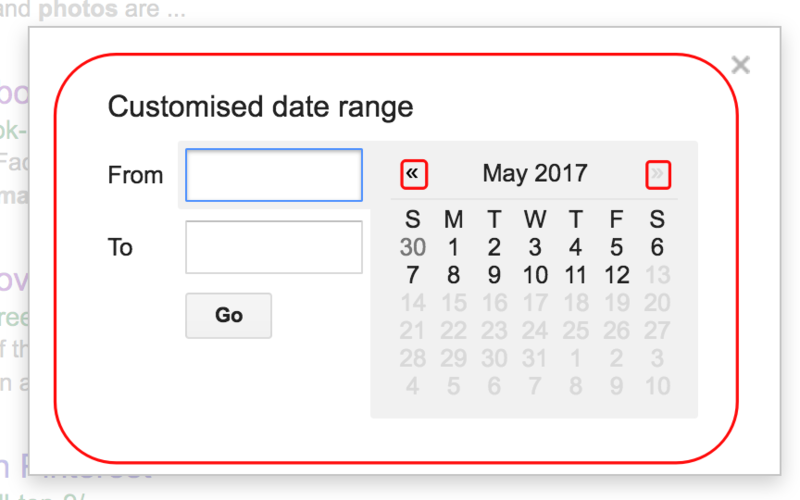 When we do searches on Google we can restrict the results to the information that was published between certain dates. Where do I choose the dates? This advanced search or footprint command is the easiest. 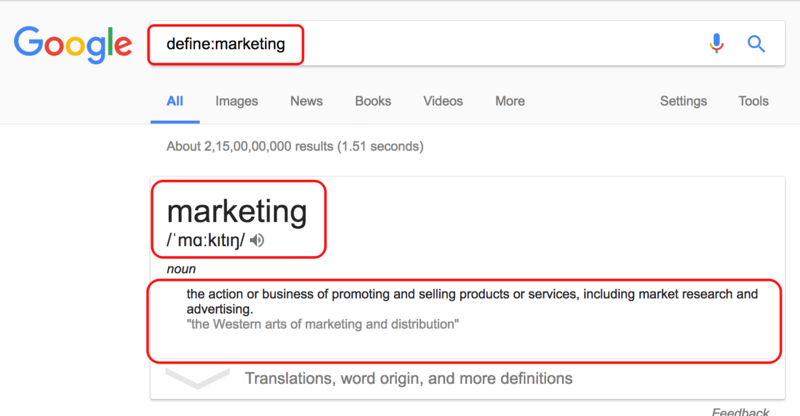 If you want to search in Google definitions of any term or word you simply have to put in the search box “define: keyword“. If you want to have some fun with Google to kill the time, here are the 20+ best Google gravity tricks. Most of these tricks are unknown to many of us. Try them now. Sometimes you read an interesting article on a website and find yourself subsequently wanting to share it with your friends or simply reread it. The easiest way to find the desired piece of information again is to search within the website. To do this, type the address of the site, then a keyword or entire phrase from the article, and it should come up immediately. 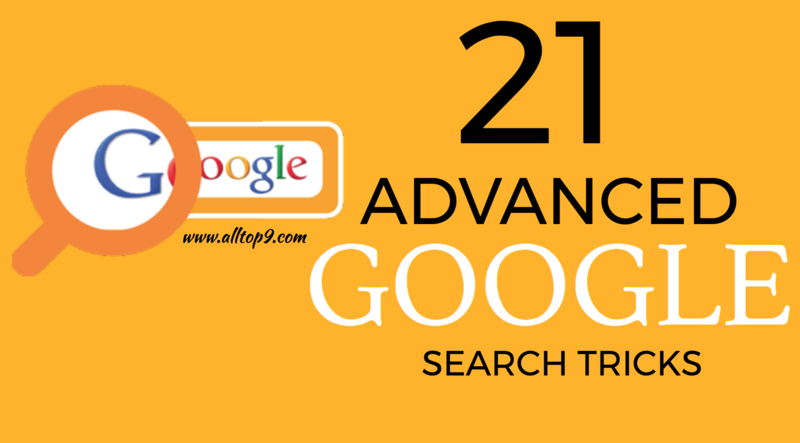 These are the 21 advanced Google search tricks or commands that 96% of the people do not know. By using these search tricks you can get most of out of the Google. We can say that these are smart Google search tricks. 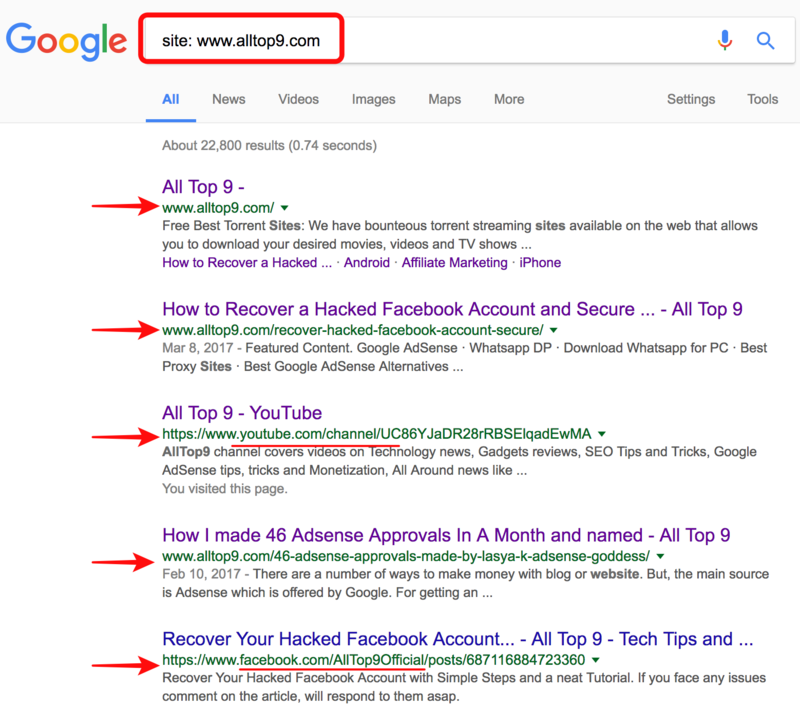 If you know any other advanced Google search trick, let us know in the below comments. If you are using any of the commands from the above list, write them in the below comments and share your experiences with our users. 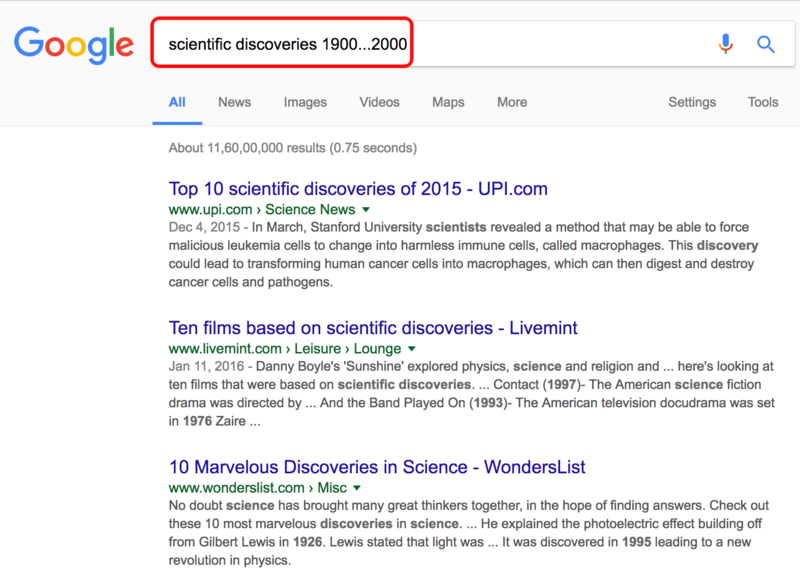 What is the most Google search trick you use? wow it is a amazing trick to find high quality keyword via command and thanks for sharing.